Join us for our December 14th WATERtalk where Mary Evelyn Tucker will discuss her new book Living Cosmology: Christian Responses to Journey of the Universe. The talk will take place from 1 PM – 2 PM ET, either by phone or at the WATER office. 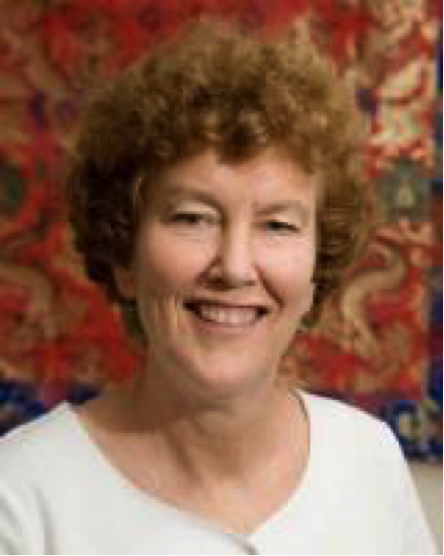 Mary Evelyn Tucker is co-director of the Forum on Religion and Ecology at Yale where she teaches in an MA program between the School of Forestry & Environmental Studies and the Divinity School. With John Grim she organized 10 conferences on World Religions and Ecology at Harvard. They are series editors for the 10 resulting volumes from Harvard. She co-edited Confucianism and Ecology, Buddhism and Ecology, and Hinduism and Ecology. She has authored with John Grim, Ecology and Religion (Island Press, 2014). They also edited Thomas Berry’s books including Selected Writings (Orbis, 2014). With Brian Swimme she wrote Journey of the Universe (Yale, 2011) and is the executive director of the Emmy award winning Journey film that aired on PBS. She served on the International Earth Charter Drafting Committee and was a member of the Earth Charter International Council. if you have any trouble registering or need more information.